Two Lions took home individual honors for the New England Women’s and Men’s Athletic Conference postseason awards earlier this month. 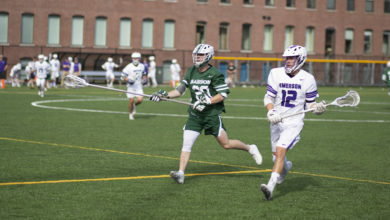 Junior forward Gavin Faucette made the NEWMAC All-Conference First Team while freshman midfielder Avery Niles claimed the All-Sportsmanship award for the Lions. Each head coach for the eight teams in the conference votes for every award. Faucette achieved a spot in the First Team—a collection of the 11 best players from across the conference at their position—for the first time in his Emerson career. 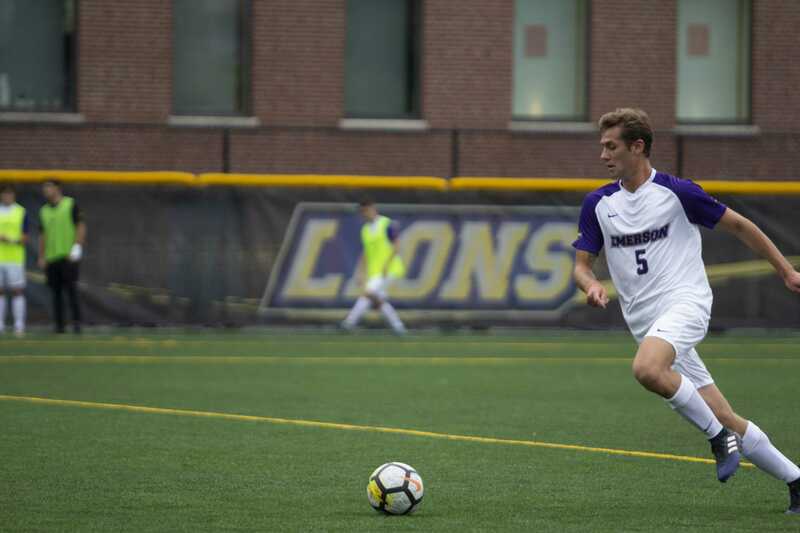 Fresh off of his second season as the leading scorer for the Lions, Faucette’s five goals—including two game-winners—place him at ninth in the conference in goals scored, along with two other players. Faucette said that, before the season, he set his sights on making the First Team. 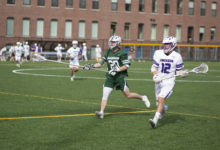 The junior said his overtime goal in Emerson’s 2-1 victory against the University of Massachusetts Boston—his second goal of the game—stood out as a highlight in the Lions’ tough 3-13-1 season. 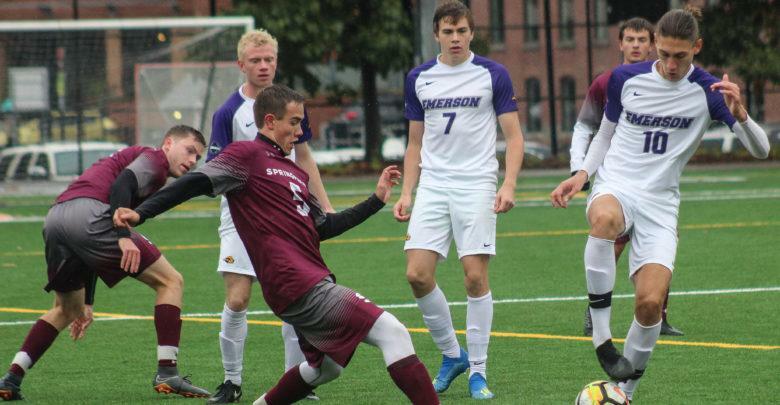 He also scored the lone goal in Emerson’s 1-0 victory over the United States Coast Guard Academy, marking Emerson’s first away victory since joining the NEWMAC in 2013. Faucette said the victory over Coast Guard felt like a statement win. 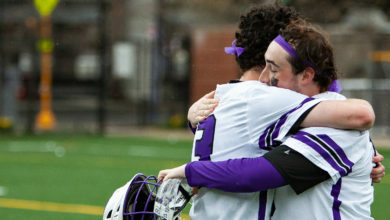 As for his teammate Niles, Faucette said he deserved the All-Sportsmanship award due to his hard work and dedication to the team. Niles finished the season with one goal and one assist and started in 16 of the Lions’ 17 games. 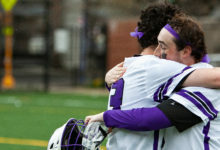 The All-Sportsmanship award is given to the player who best reflects “ideals of the NEWMAC and its Code of Conduct, regardless of his/her overall performance or statistics for the season,” according to the NEWMAC website. Niles said he appreciated the recognition for his hard work this season. Niles said the team hoped Faucette earned a spot in the First Team. “We were all hoping he’d get it at the beginning of the season. He definitely deserved it,” Niles said. “I’m super happy for him. He scored a lot of goals and he put a lot of effort up there. 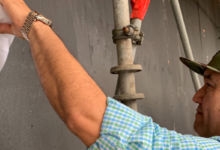 His attitude also contributed to that—he’s a great team player. Faucette said he hopes to score more goals and to help the team grow in his senior season next year.